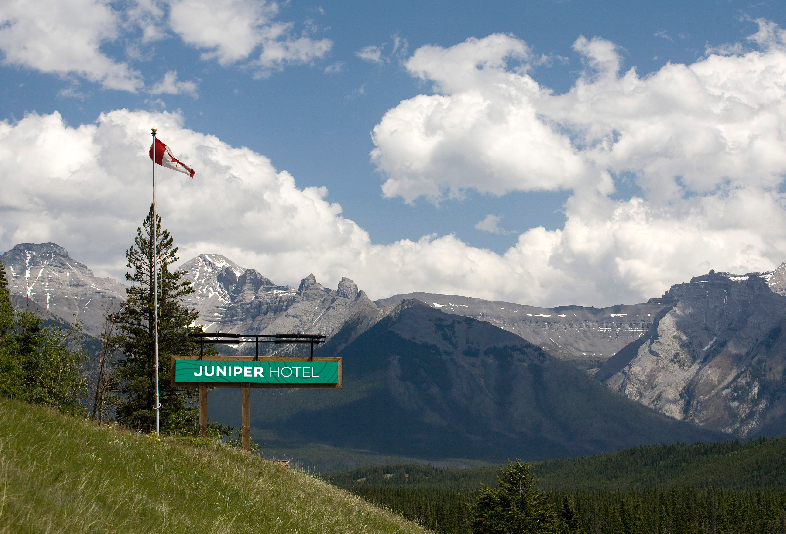 On the edge of the town of Banff in Alberta’s Rocky Mountains, the Juniper Hotel sits at the base of Mount Norquay with a spectacular and unrivalled view of Mount Rundle and Vermilion Lake. 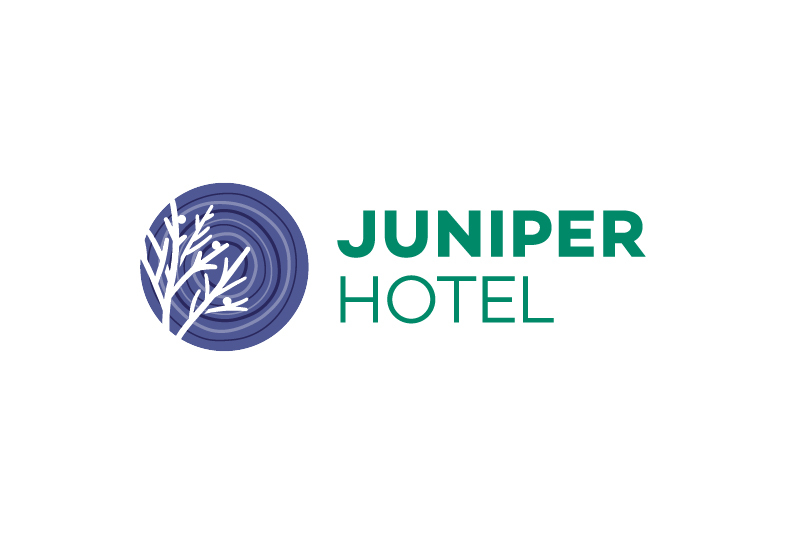 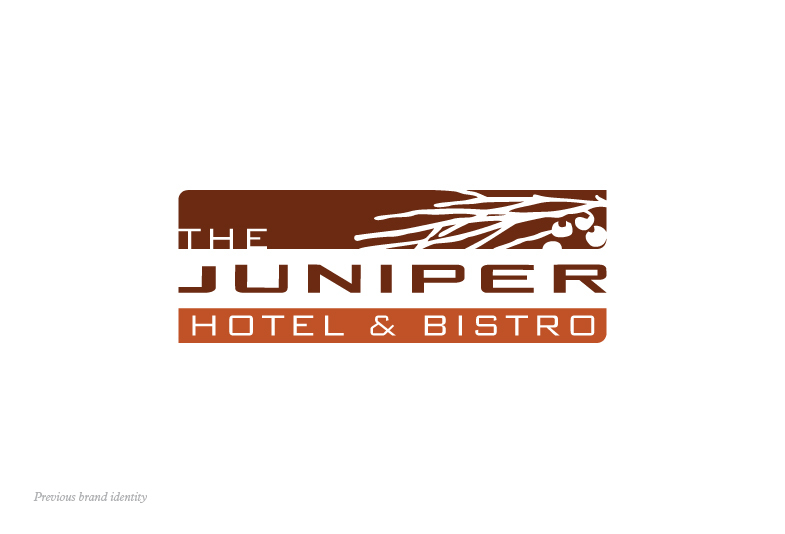 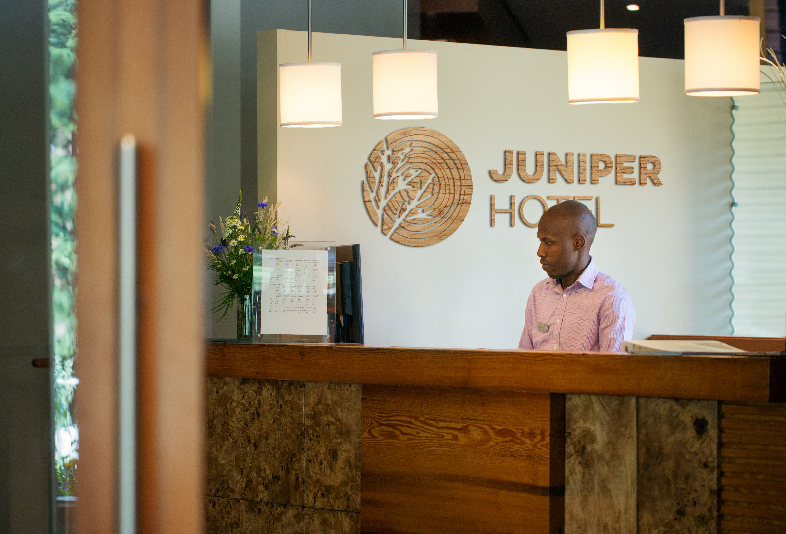 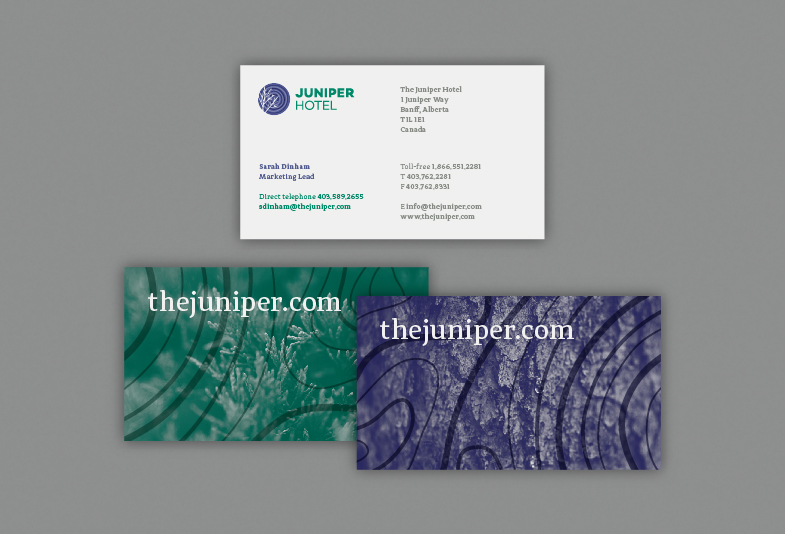 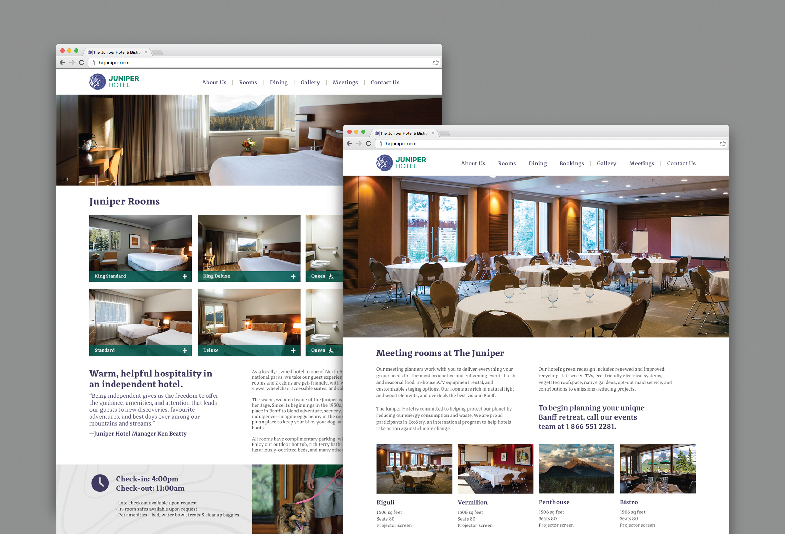 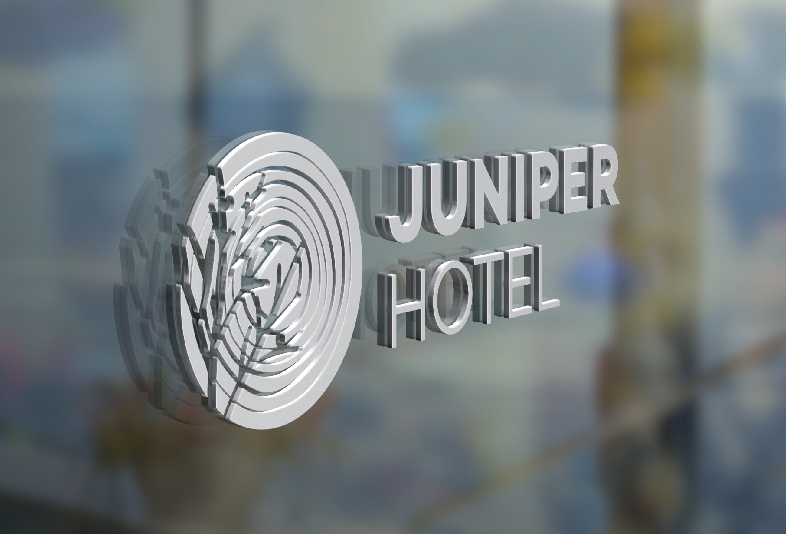 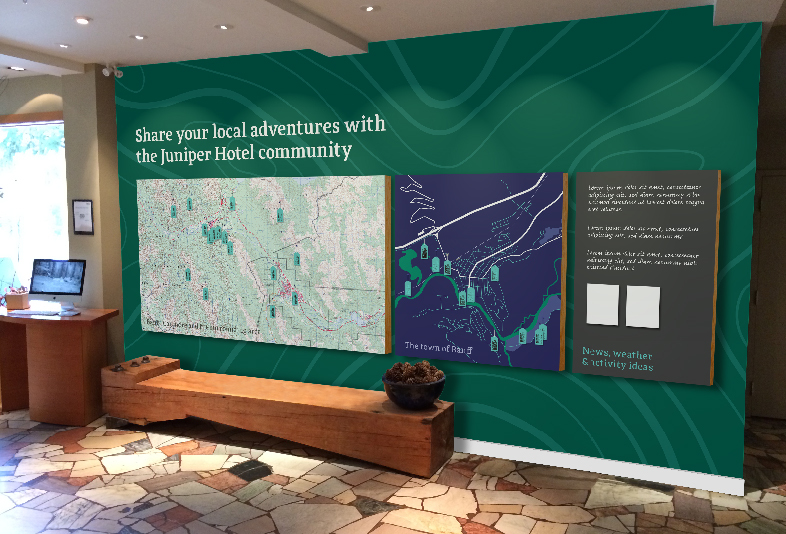 The site has been home to a hotel since 1955, but in it’s current incarnation, the Juniper has been operating since 2005. 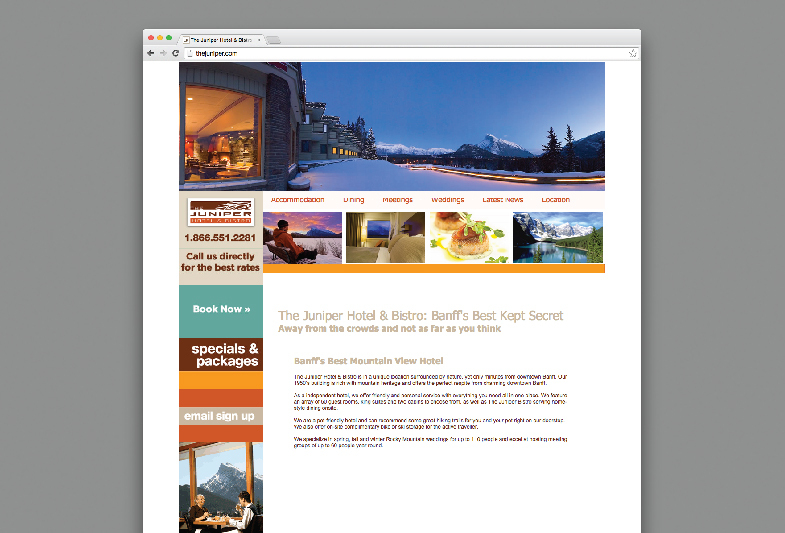 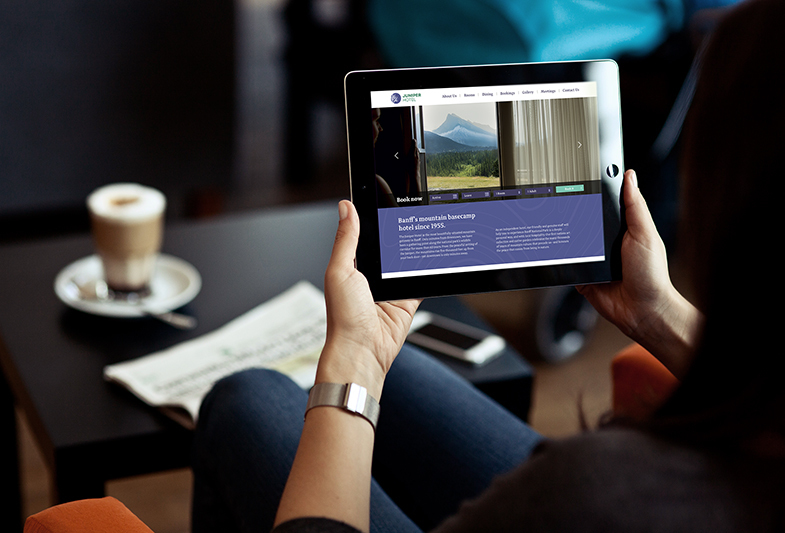 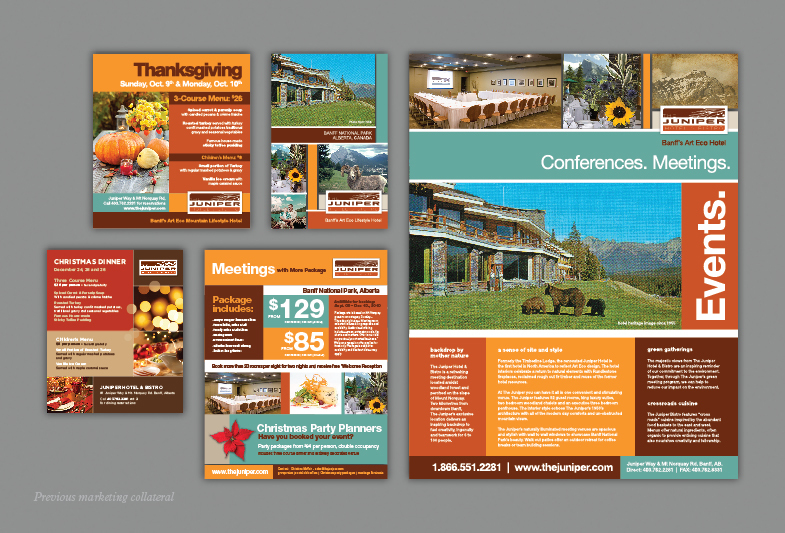 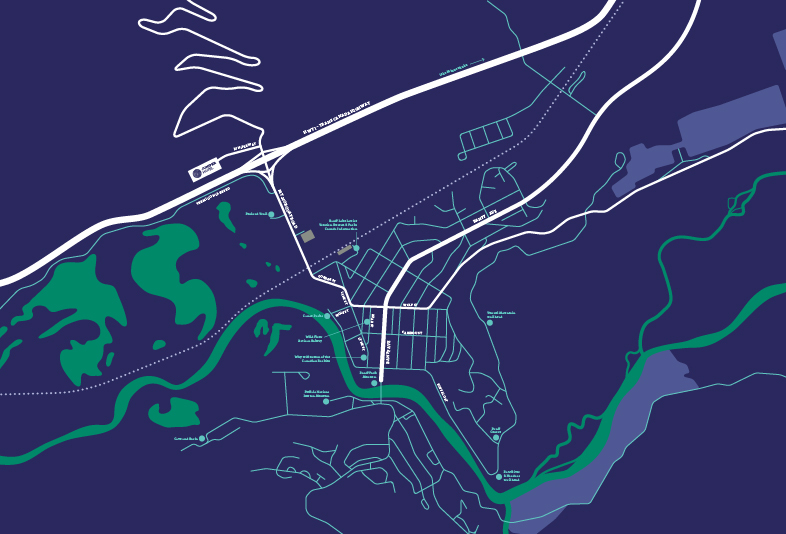 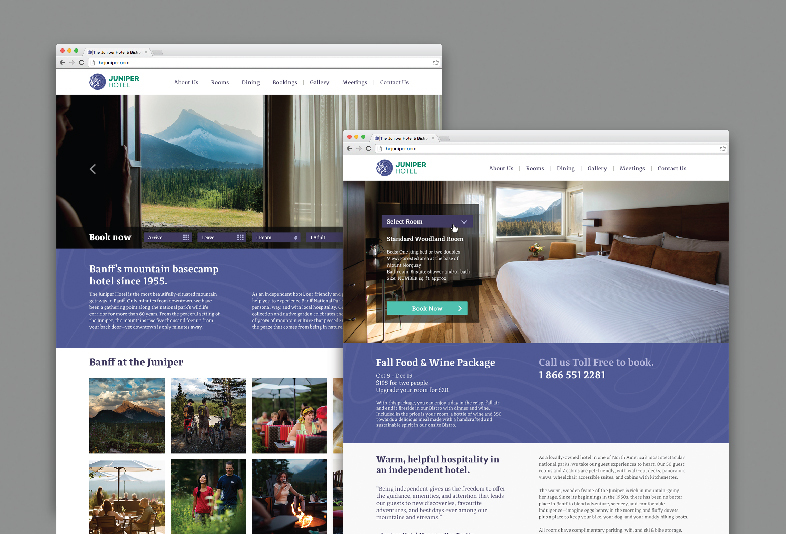 Banff has a large and highly competitive hotel market. 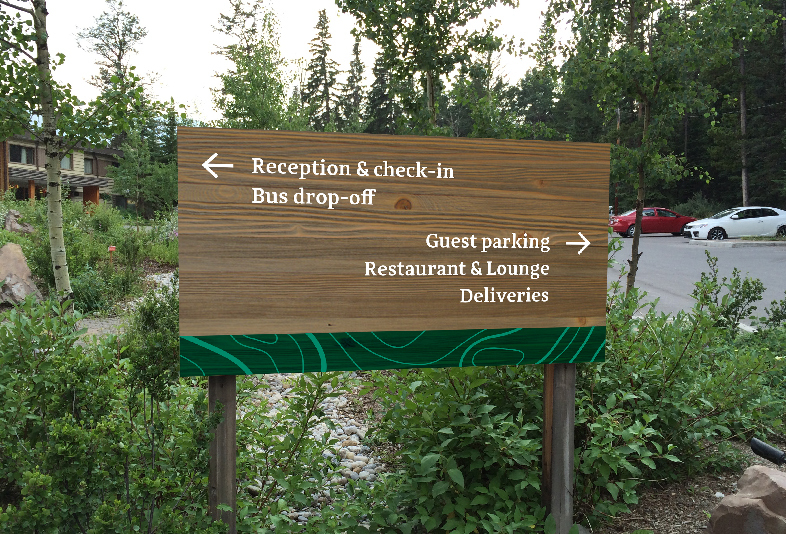 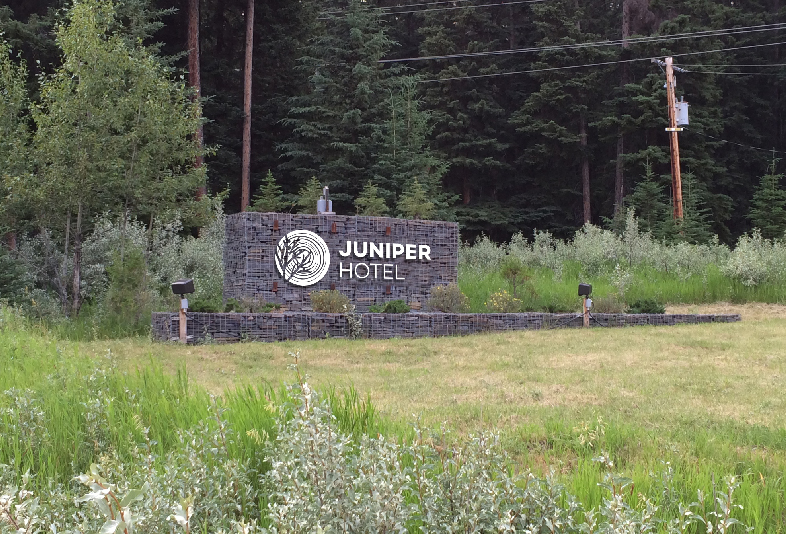 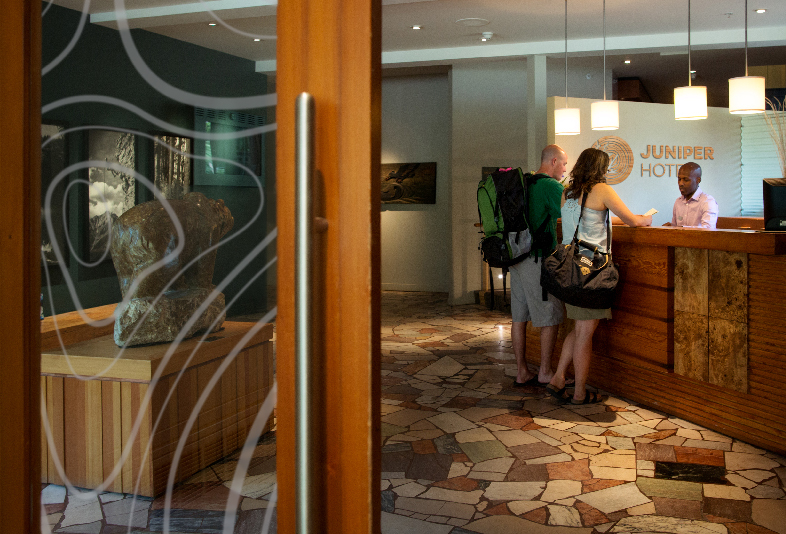 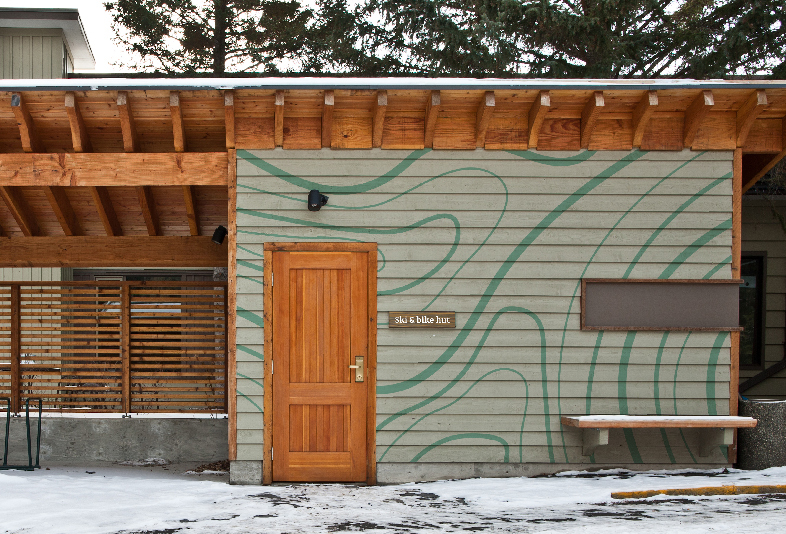 With its location just outside the edge of the town, the Juniper Hotel offers an alternative to the cookie-cutter Banff hotels; it caters to visitors looking for a more relaxing and quieter Rocky Mountain experience. 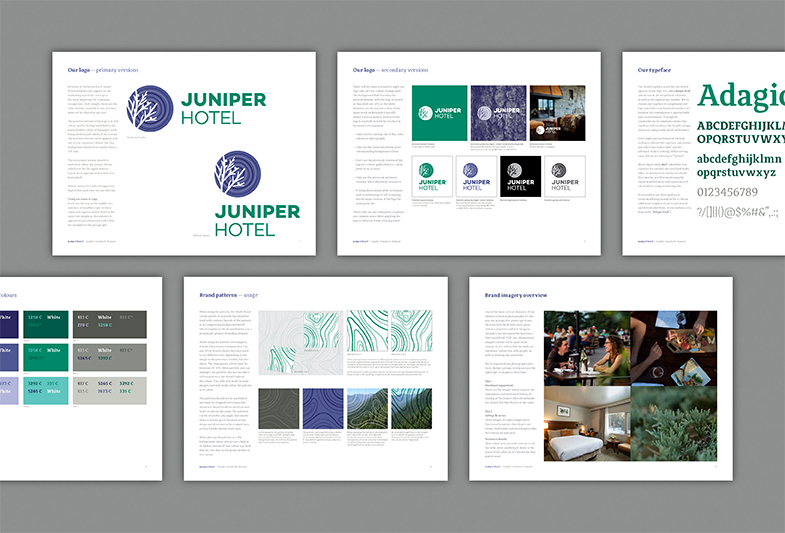 The brief was to reimagine the brand but also increase its depth and meaning providing a solid platform for all communications enabling them to tell a richer brand story, based on a new brand strategy. 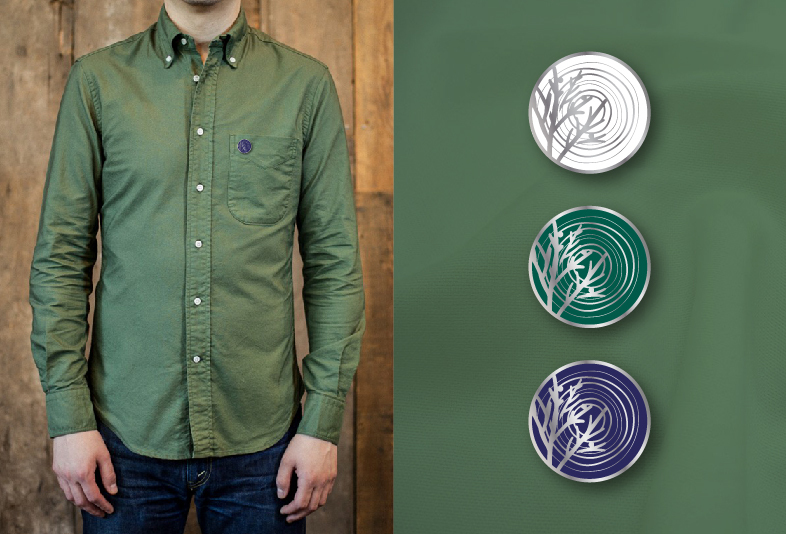 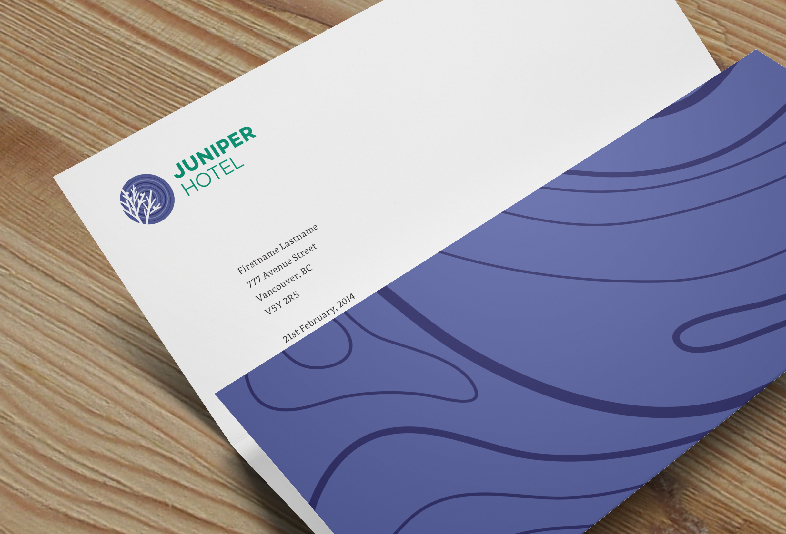 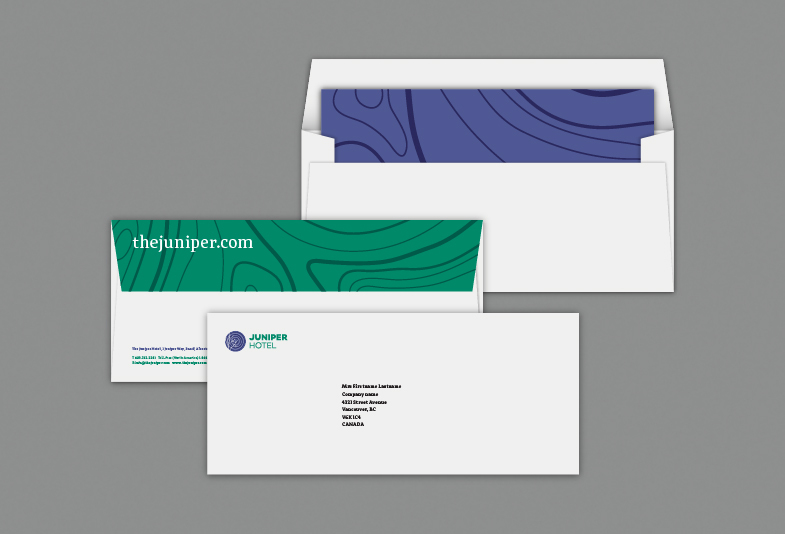 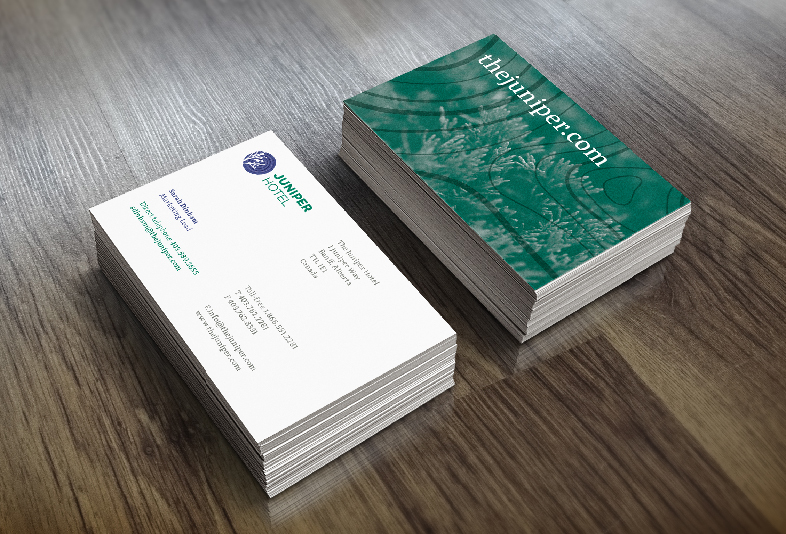 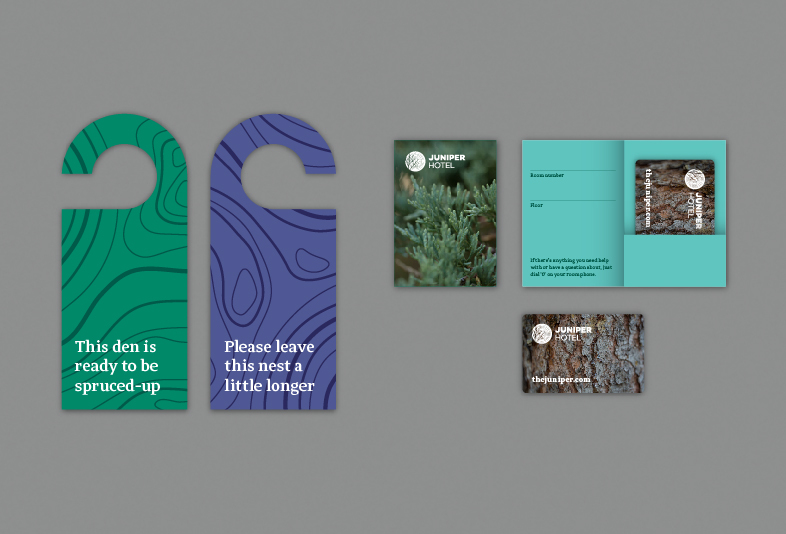 The identity is inspired by the Juniper tree itself; its colours provide the brand palette and the logo depicts a berry containing a Juniper branch in negative space. 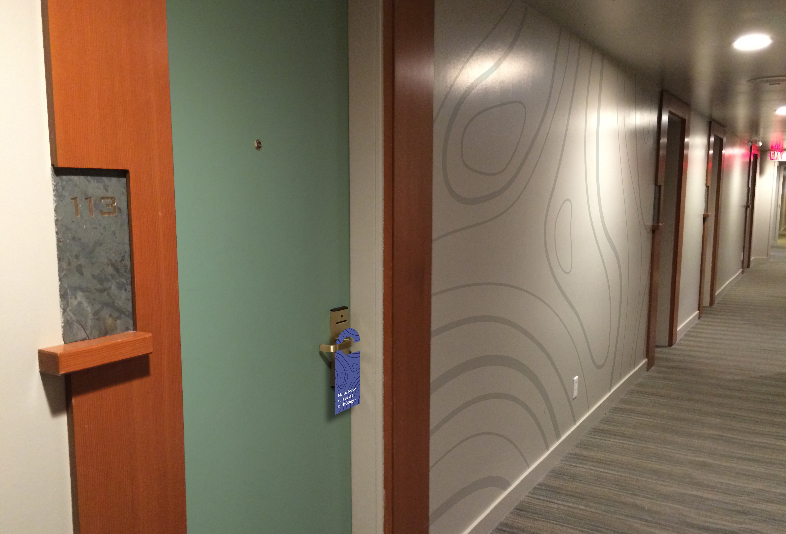 The rings of trees provide an additional woodgrain texture. 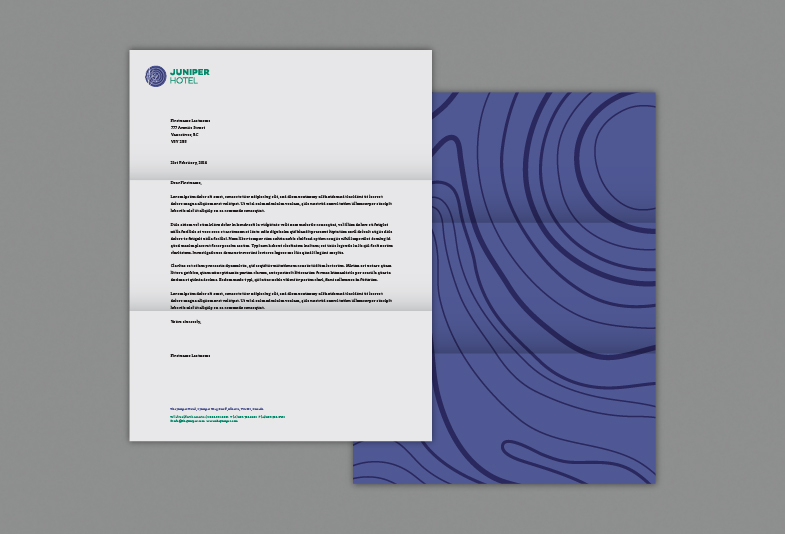 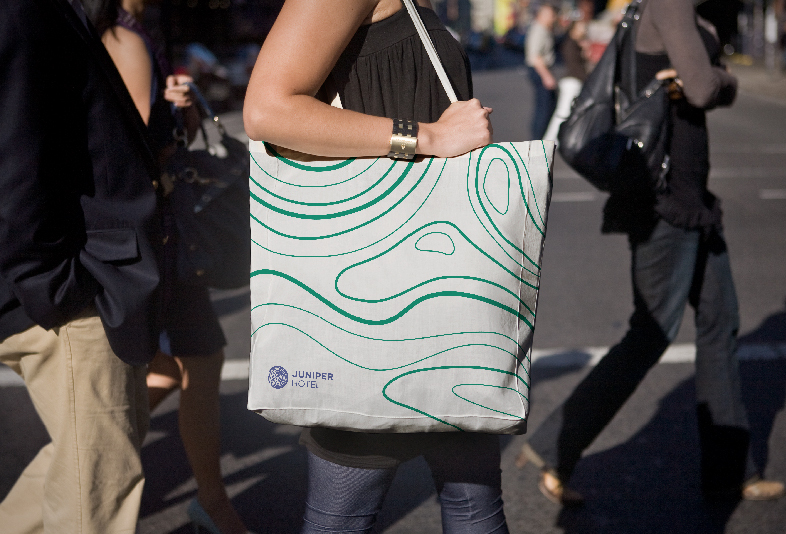 This morphs into the lines inspired by topographic maps (representing the mountainous location) in brand patterns for secondary applications. 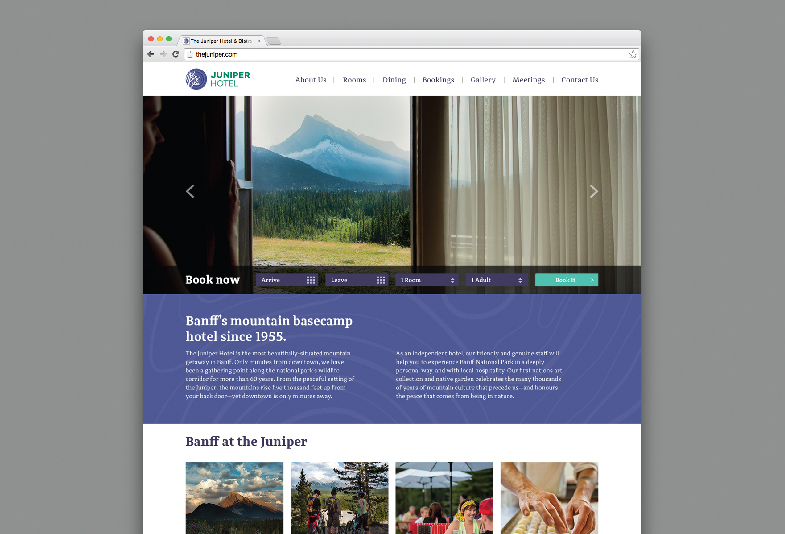 Web design by Gavin Froome.